1. Sivasakthivel, T., Murugesan, K., Sahoo, P. K., Study of technical, economical and environmental viability of ground source heat pump systems for Himalayan cities of India, Renewable and Sustainable Energy Reviews, (2015), 48, pp. 452-462. 2. Sivasakthivel, T., Murugesan, K., Sahoo, P. K., Optimization of ground heat exchanger parameters of ground source heat pump systems for space heating applications, (2014), Energy, 78, pp. 573-586. 3. Verma, V., Murugesan, K., Optimization of solar assisted ground source heat pump system for space heating application by Taguchi method and utility concept, (2014), Energy and Buildings, 82, pp. 296-309. 4. Arul Peter, A., Murugesan, K., Sharma, U.K., Arora, P., Numerical study of heat and moisture transport through concrete at elevated temperatures, (2014), Journal of Mechanical Science and Technology, 28, pp. 1967-1977. 5. Sivasakthivel, T., Murugesan, K., Sahoo, P.K., A study on energy and CO2 saving potential of ground source heat pump system in India, (2014), Renewable and Sustainable Energy Reviews, 32, pp. 278-293. 6. Sivasakthivel, T., Murugesan, K., Thomas, H.R., Optimization of operating parameters of ground source heat pump system for space heating and cooling by Taguchi method and utility concept, (2014), Applied Energy, 116, pp. 76-85. 7. Ganapathy, T., Gakkhar, R.P., Murugesan, K., Optimization of injection system parameters and exhaust gas recirculation for jatropha biodiesel fuel in diesel engine using taguchi, method, (2013), Journal of Energy Engineering, 10.1061/(ASCE)EY.1943-7897.0000159, 04013015. 8. Rahim, A., Sharma, U.K., Murugesan, K., Sharma, A., Arora, P., Multi-response optimization of post-fire residual compressive strength of high performance concrete, (2013), Construction and Building Materials, 38, pp. 265-273. 9. Ramsankaran, R., Kothyari, U.C., Ghosh, S.K., Malcherek, A., Murugesan, K., Physically-based distributed soil erosion and sediment yield model (DREAM) for simulating individual storm events, (2013), Hydrological Sciences Journal, 58 (4), pp. 872–891. 10. Rahim, A., Sharma, U.K., Murugesan, K., Sharma, A., Arora, P., Optimization of post-fire residual compressive strength of concrete by Taguchi method, (2012), Journal of Structural Fire Engineering, 3 (2), pp. 169-180. 11. Sivasakthivel, T., Murugesan, K., Sahoo, P.K., Potential reduction in CO2 emission and saving in electricity by ground source heat pump system for space heating applications - A study on northern part of India, (2012), Procedia Engineering, 39, pp. 970-979. 12. Sehgal, S.S., Murugesan, K., Mohapatra, S.K., Effect of channel and plenum aspect ratios on the performance of micro channel heat sink under different flow arrangements, (2012), Journal of Mechanical Science and Technology, 26, pp. 2985-2994. 13. Ramsankaran, R., Kothyari, U.C., Ghosh, S.K., Malcherek, A., Murugesan, K., Geospatial based Distributed Rainfall-Runoff model for Simulation of Internal and Outlet Responses in a Semi Forested Watershed. Hydrological Processes, (2012), 26 (9), pp.1405-1426. 14. Ganapathy, T., Gakkhar, R.P., Murugesan, K., Optimization of Injection Timing and Operating Parameters On Jatropha Biodiesel Engine Using RSM, (2012), International Journal of Renewable Energy Technology, 3, pp.254-275. 15. Ramesh, B., Kothyari, U.C., Murugesan, K., Near-bed particle motion over transitionally-rough bed, (2011), Journal of Hydraulic Research, 49 (6), pp. 757-765. 16. Ganapathy, T., Gakkhar, R.P., Murugesan, K., Influence of injection timing on performance, combustion and emission characteristics of Jatropha biodiesel engine, (2011), Applied Energy, 88 (12), pp. 4376-4386. 17. 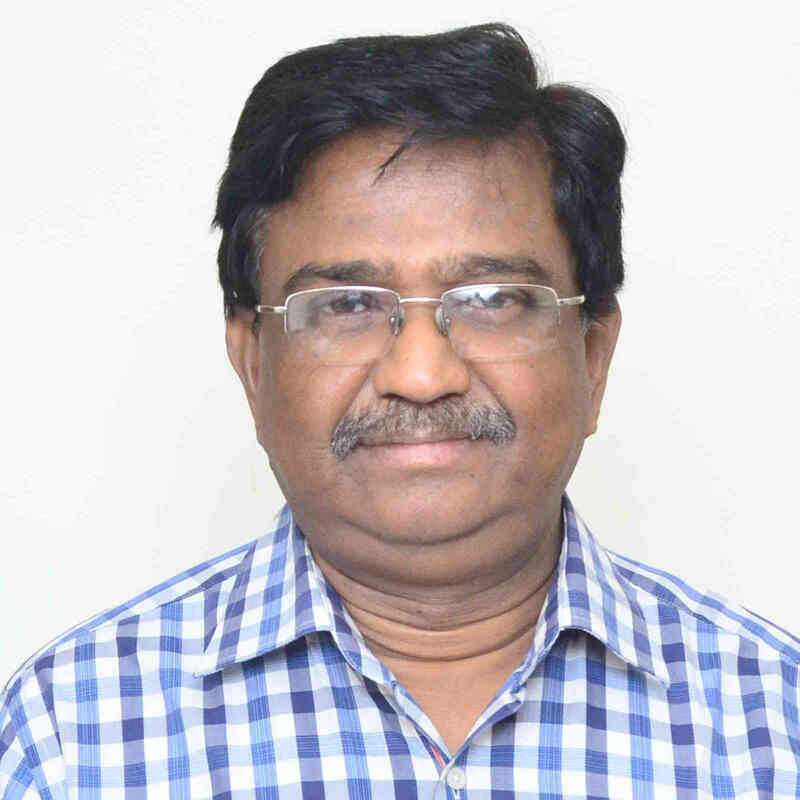 Senthil Kumar , D., Murugesan, K., Thomas, H.R., Effect of the aspect ratio of a heated block on the interaction between inertial and thermosolutal buoyancy forces in a lid-driven cavity, (2011), Numerical Heat Transfer; Part A: Applications, 60 (7), pp. 604-628. 18. Arul Peter, A., Mamidi, G., Murugesan, K., Sharma, U.K., Akanshu Sharma, D., Arora, P., Effect of boundary conditions on thermohydraulic behaviour of clay buffer used in nuclear waste repository, (2011), Energy Procedia, 7, pp. 495-501. 19. Sehgal, S.S., Murugesan, K., Mohapatra, S.K., Experimental investigation of the effect of flow arrangements on the performance of a micro-channel heat sink, (2011), Experimental Heat Transfer, 24 (3), pp. 215-233. 20. Ganapathy, T., Gakkhar, R.P., Murugesan, K., Optimization of performance parameters of diesel engine with Jatropha biodiesel using response surface methodology, International Journal of Sustainable Energy, (2011), 30, pp. S76-S90. 21. Ramesh, B., Kothyari, U.C., Murugesan, K., Rolling motion of particles over transitionally rough beds, ISH Journal of Hydraulic Engineering, (2011), 17, pp.23-31. 22. Sehgal, S.S., Murugesan, K., Mohapatra, S.K., Computational studies on the effect of flow arrangements on the performance of a micro channel heat sink, (2011), International Journal of Advances in Thermal Sciences & Engineering, 8, pp. 354-363. 23. Senthil Kumar, D., Murugesan, K., Gupta, A., Numerical analysis of interaction between inertial and thermosolutal buoyancy forces on convective heat transfer in a lid-driven cavity, (2010), Journal of Heat Transfer, 132 (11), art. no. 112501. 24. Senthil Kumar, D., Murugesan, K., Gupta, A., Effect of thermo-solutal stratification on recirculation flow patterns in a backward facing step channel flow. International Journal for Numerical Methods in Fluids, (2010), 64, pp.163-186. 25. Ganapathy, T., Balasubramanian, R., Gakkhar, R.P., Murugesan, K., Optimization of injection system parameters and EGR on Jatropha Biodiesel Engine using Taguchi approach, Journal of Biofuels, (2010), 1, pp.123-130. 26. Ganapathy, T., Gakkhar, R.P., Murugesan, K., Artificial neural network modeling of jatropha oil fueled diesel engine for emission predictions, (2009), Thermal Science, 13 (3), pp. 91-102. 27. Ganapathy, T., Gakkhar, R.P., Murugesan, K., An analytical and experimental study of performance on Jatropha biodiesel engine, (2009), Thermal Science, 13 (3), pp. 69-82. 28. Ganapathy, T., Murugesan, K., Gakkhar, R.P., Performance optimization of Jatropha biodiesel engine model using Taguchi approach, (2009), Applied Energy, 86 (11), pp. 2476-2486. 29. Kumar, D.S., Murugesan, K., Gupta, A., Thermo-solutal buoyancy induced mixed convection in a backward facing step channel using velocity-vorticity formulation, (2009), Numerical Heat Transfer; Part A: Applications, 56 (7), pp. 604-630. 30. Murugesan, K., Lo, D.C., Young, D.L., Chen, C.W., Fan, C.M., Convective drying analysis of three-dimensional porous solid by mass lumping finite element technique, (2008), Heat and Mass Transfer, 44 (4), pp. 401-412. 31. Senthil Kumar, D., Murugesan, K., Thomas, H.R., Numerical simulation of double diffusive mixed convection in a lid-driven square cavity using velocity-vorticity formulation, (2008), Numerical Heat Transfer; Part A: Applications, 54 (9), pp. 837-865. 32. Lo, D.C., Young, D.L., Murugesan, K., Tsai, C.C., Gou, M.H., Velocity-vorticity formulation for 3D natural convection in an inclined cavity by DQ method, (2007), International Journal of Heat and Mass Transfer, 50 (3-4), pp. 479-491. 33. Murugesan, K., Lo, D.C., Young, D.L., Fan, C.M., Chen, C.W., Global matrix-free finite-element scheme for natural convection in a square cavity with step blockage, (2006), Numerical Heat Transfer, Part B: Fundamentals, 50 (4), pp. 353-373. 34. Young, D.L., Fan, C.M., Tsai, C.C., Chen, C.W., Murugesan, K., Eulerian-Lagrangian method of fundamental solutions for multi-dimensional advection-diffusion equation, (2006), International Mathematical Forum, 1, pp. 687-706. 35. Lo, D.C., Young, D.L., Murugesan, K., An accurate numerical solution algorithm for 3D velocity-vorticity Navier-Stokes equations by the DQ method, (2006), Communications in Numerical Methods in Engineering, 22 (3), pp. 235-250. 36. Young, D.L., Jane, S.J., Fan, C.M., Murugesan, K., Tsai, C.C., The method of fundamental solutions for 2D and 3D Stokes problems, (2006), Journal of Computational Physics, 211 (1), pp. 1-8. 37. Chen, C.W., Young, D.L., Tsai, C.C., Murugesan, K., The method of fundamental solutions for inverse 2D Stokes problems, (2005), Computational Mechanics, 37 (1), pp. 2-14. 38. Young, D.L., Chen, C.W., Fan, C.M., Murugesan, K., Tsai, C.C., The method of fundamental solutions for Stokes flow in a rectangular cavity with cylinders, (2005), European Journal of Mechanics, B/Fluids, 24 (6), pp. 703-716. 39. Young, D.L., Hu, S.P., Chen, C.W., Fan, C.M., Murugesan, K., Analysis of elliptical waveguides by method of fundamental solutions, (2005), Microwave and Optical Technology Letters, 44 (6), pp.552-558. 40. Lo, D.C., Young, D.L., Murugesan, K., GDQ method for natural convection in a cubic cavity using velocity-vorticity formulation, (2005), Numerical Heat Transfer, Part B: Fundamentals, 48 (4), pp. 363-386. 41. Young, D.L., Lin, Q.H., Murugesan, K., Two-dimensional simulation of a thermally stratified reservoir with high sediment-laden inflow, (2005), Journal of Hydraulic Research, 43 (4), pp. 351-365. 42. Lo, D.C., Murugesan, K., Young, D.L., Numerical solution of three-dimensional velocity-vorticity Navier-Stokes equations by finite difference method, (2005), International Journal for Numerical Methods in Fluids, 47 (12), pp. 1469-1487. 43. Lo, D.C., Young, D.L., Murugesan, K., GDQ method for natural convection in a square cavity using velocity-vorticity formulation, (2005), Numerical Heat Transfer, Part B: Fundamentals, 47 (4), pp. 321-341. 44. Chen, C.W., Fan, C.M., Young, D.L., Murugesan, K., Tsai, C.C., Eigen analysis for membranes with stringers using the methods of fundamental solutions and domain decomposition, (2005), CMES - Computer Modeling in Engineering and Sciences, 8 (1), pp. 29-44. 45. Murugesan, K., Lo, D.C., Young, D.L., An efficient global matrix free finite element algorithm for 3D flow problems, (2005), Communications in Numerical Methods in Engineering, 21 (3), pp. 107-118. 46. Young, D.L., Tsai, C.C., Murugesan, K., Fan, C.M., Chen, C.W., Time-dependent fundamental solutions for homogeneous diffusion problems, (2004), Engineering Analysis with Boundary Elements, 28 (12), pp. 1463-1473. 47. Murugesan, K., Thomas, H.R., Cleall, P.J., An investigation of the influence of two-stage drying conditions on convective drying of porous materials, (2002), International Journal of Numerical Methods for Heat and Fluid Flow, 12 (1), pp. 29-46. 48. Murugesan, K., Suresh, H.N., Seetharamu, K.N., Aswatha Narayana, P.A., Sundararajan, T., A theoretical model of brick drying as a conjugate problem, (2001), International Journal of Heat and Mass Transfer, 44 (21), pp. 4075-4086. 49. Murugesan, K., Seetharamu, K.N., Narayana, P.A.A., Thomas, H.R., Ferguson, W.J., Study of shrinkage stresses for drying of brick as a conjugate problem, (2000), International Journal for Numerical Methods in Engineering, 48 (1), pp. 37-53. 50. Murugesan, K., Seetharamu, K.N., Aswatha Narayana, P.A., A one dimensional analysis of convective drying of porous materials, (1996), Heat and Mass Transfer, 32 (1-2), pp. 81-88.